One in four people aged 16 to 24 experiences some form of mental illness every year, and three-quarters of all mental illness manifests in people under the age of 25. That is why, intervention at the earliest possible stage is important to reduce the duration and impact. Northam was identified by headspace National as an area of particular need. 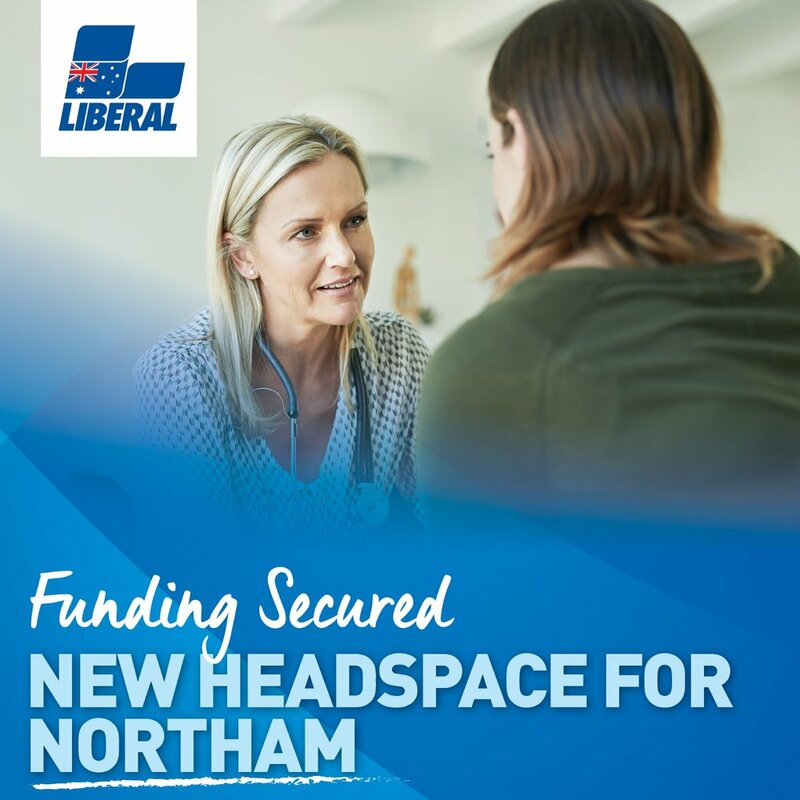 Federal Member for Pearce, Christian Porter, said the new headspace centre will provide vital services and deliver innovative support for young Australians in the Pearce community. “Our Government is committed to ensuring young Australians can get information, advice, counselling or treatment, when and where they need it. These guaranteed new frontline services will help deliver that support,” Mr Porter said. Mr Porter said the investment is part of the Federal Liberal Government’s $461 million Youth and Indigenous Mental Health and Suicide Prevention Plan – the largest investment of its kind in the country’s history. “Importantly, this is real money in a real budget – it’s not a promise, it’s delivered,” Mr Porter said. The Northam satellite site is one of 30 new sites announced as part of the expansion of the headspace network from 115 to 145 sites nationally. It is expected that it will open by the middle of next year. The investment will build on vital mental health services for young people in WA facing mental health challenges. WA will have a total of 14 centres and four satellite sites once the new headspace services are up and running. The Federal Liberal Government is absolutely committed to ensuring young people have access to mental health services in their local areas. Since October 2018, the Government has provided over $200 million more funding to the headspace network. This is in addition to the more than $120 million per year provided for the 1115 services nationally. The Federal Liberal Government’s strong economic management ensures the continued record investment of funding into vital health initiatives including mental health, life-saving medicines, Medicare and hospitals.